Rajiv Datta is being promoted to COO after just 18 months as its CTO, helping develop Colt's product suite. 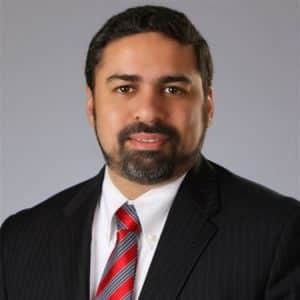 Colt Technology Services has expanded the role of Rajiv Datta, who has now been appointed Chief Operating Officer (COO) of the group. Mr. Datta will face additional responsibilities after helping steer the release of the group’s new product. Mr. Datta previously worked as the Chief Technology Officer (CTO) at Colt, successfully driving the company’s product chain, which emphasize high bandwidth strategy. In his newly expanded role, he will be reporting to Colt’s Chief Executive Officer Carl Grivner. Since joining Colt in 2015, Mr. Datta has been based out of London – he was responsible for developing Colt’s next generation of products and services, including the evolution of its SDN-based network. His work in Colt’s high bandwidth strategy also paved the way for his new job. The move represents a continuation of Colt’s strategic transformation that emphasizes customer engagement and a broader bandwidth services strategy. “Customer engagement is at the heart of our strategic transformation, and Rajiv’s expanded role as COO naturally places all of our operational, technological & product tools in the service of driving customer experience excellence. This is about becoming more agile as a company in serving our customers while we continue to invest significantly in our network and capability,” explained Mr. Grivner. Mr. Datta is no stranger to the technology space, having worked for over two decades across multiple venues. Prior to joining Colt Technology back in December 2015, he worked as the CTO at Reliance Jio. The majority of his career was at AboveNet, where he served in a multitude of technology-centric roles, dating back to 1998.